A Google search of that very term, "election 2016," yielded more than 280 million news results today. That compares to the 33 million results it rendered a little over a week ago on Oct. 28. That's a 90% uptick in search volume. Interestingly, "election 2016" as a search time spiked the highest within the last week on Wednesday morning at 6:00 a.m.
Well, it was, after all, the day after off-year elections were held across the country. And the results of those elections might be indicative of things to come. Republicans across the U.S. celebrated a hotly contested gubernatorial race in Kentucky while maintaining power over the Senate in Virginia – where gun control is a controversial political issue. There are, of course, a host of other instances that could help, hurt, and foretell the coming presidential election next year aside from the results of the smaller-scale state and municipal ones. That's why we at Money Morning have gathered the latest, most relevant 2016 election information to keep you updated on what's happening in the world of politics. Former New Jersey Gov. Chris Christie and former Arkansas Gov. Mike Huckabee both failed to make the cut for the main stage at the upcoming FOX Business/Wall Street Journal debate on Nov. 10. They've been bumped down to the "undercard debate," replacing New York Gov. George Pataki and South Carolina Sen. Lindsey Graham, who've essentially been shut out of the debates altogether. GOP presidential hopeful Donald Trump revealed his first campaign ads on Thursday. They are radio ads set to air in the early primary states and will promote Trump's business experience, slam politicians as "all talk and no action," and play up Trump's pledge to build a wall on the U.S.-Mexico border. The $300,000 ads will be aired in the first three primary states of Iowa, New Hampshire, and South Carolina, the Trump campaign confirmed Thursday morning to CNN. 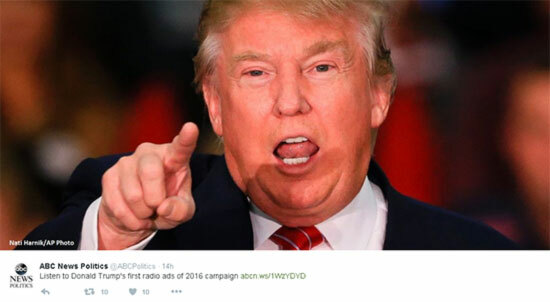 Until now, Trump had yet to air any TV ads – though some of his opponents have been running them for months. Los Angeles Mayor Eric Garcetti endorsed Democratic front-runner Hillary Clinton for president on Thursday. Then he said, "Psyche!" and recanted. Garcetti's office sent out a press release throwing the mayor's support behind the former Secretary of State. But then an hour later, Garcetti's office released a statement revealing the endorsement was made in error. Oops. 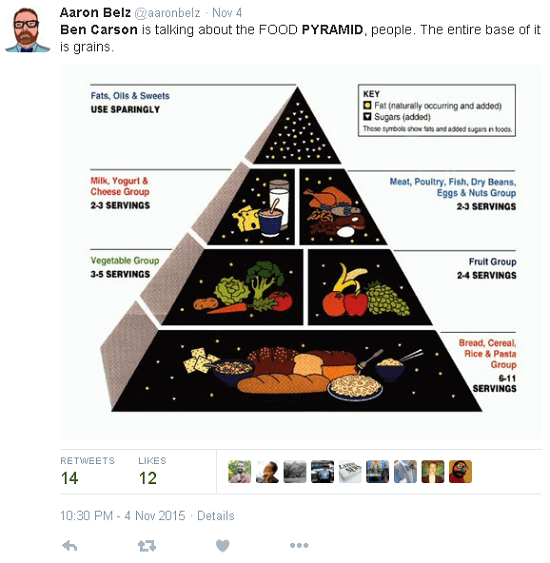 On Thursday, during a stop on his book tour, presidential hopeful and retired neurosurgeon Ben Carson discussed portions of a rediscovered past speech in which he expressed his belief that the Great Pyramids of Giza were constructed by the biblical figure Joseph to store grain, not pharoahs' tombs. According to CBS News, when asked about this again during a Q&A, Carson said, "It's still my belief, yes." Former Florida Gov. Jeb Bush is being criticized after making negative statements about fellow GOP presidential hopeful Florida Sen. Marco Rubio. In fact, a top Florida fundraiser actually defected from Bush's campaign, reported Politico yesterday. Brian Ballard, a Tallahassee-based lobbyist who, thus far, has contributed more than $25,000 of his own money to Jeb's run for presidency and has helped raise hundreds of thousands more, expressed his disappointment in Bush's negative approach. "The campaign has become negative, one that is about attacking and trying to bring down Marco Rubio. And that doesn't sit well – not only with me, but with anyone who knows the two," Ballard said. The Bush team called Rubio "the GOP Obama." Also criticizing Jeb's negative tactics are U.S. Representatives Pete Sessions (R-TX) and Carlos Curbelo (R-FL).